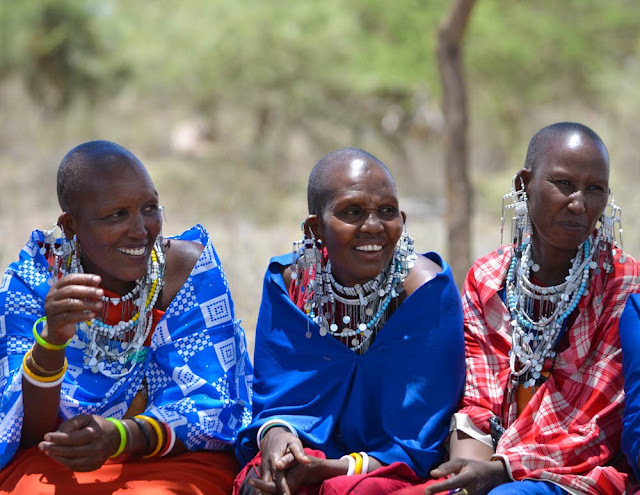 As pastoralists, the Maasai live close to the earth. Not only are their homes built from the resources directly surrounding them, but their livelihoods primarily depend on herding livestock that provide meat, milk and income. Without access to land, livestock perish, poverty grows and community health declines. For the Maasai, land is literally life. To sum it up in a pretty little sentence, the Land is Our Life project aims to protect traditional uses of land by educating indigenous leaders and communities about policy changes and mobilizing them to ensure their voices are well-heard. Practically, this has meant holding educational workshops in various villages where people are invited to learn about and critically discuss significant issues that impact their communities. When I first started visiting the various communities in Oldonyo Mali it became quickly obvious that beyond a small minority of leaders, very few people knew or had been informed that their village had joined something called a Wildlife Management Area (WMA). I don’t want to get into it too much (I wrote a 70-paged thesis that doesn’t even begin to scratch the surface of the complexities associated with this three-lettered acronym), but basically the Tanzanian government came up with new conservation areas that are created by village communities agreeing to set aside some of their land to be used as wildlife conservation areas. This decision is usually made under the pretense that their communities will receive hefty revenues from tourism and will be given more power to influence wildlife management in their lands. In my experience, the reality is that most people have no idea what a WMA is and they realize few benefits from joining one. A massive gaping hole in the transition is that no one really takes the time to educate these communities, especially in ways that are accessible and meaningful. One of the biggest complaints I heard throughout my visits to Oldonyo Mali was that the organizations and people that had come into their communities to fill in this gap would leave them behind with information they couldn’t understand, let alone retain. Furthermore, the organizations never created relationships and they never came back. We kept our goals simple: show up, listen, and share knowledge. The more we kept it simple, the more people learned, and the more they began to realize that what we were doing was different to anything they had experienced before. Over time, over the many hours of sharing, listening, learning, people began to understand more about the WMA – its policies, its benefits, its risks, the threat it may carry to land rights and, most importantly, how to hold leaders to account and ensure the community’s interests are prioritized. One of the key elements of success was that they were being taught by one of their own, Oshumu Shuaka, who I collaborated with and hired to facilitate the workshops. 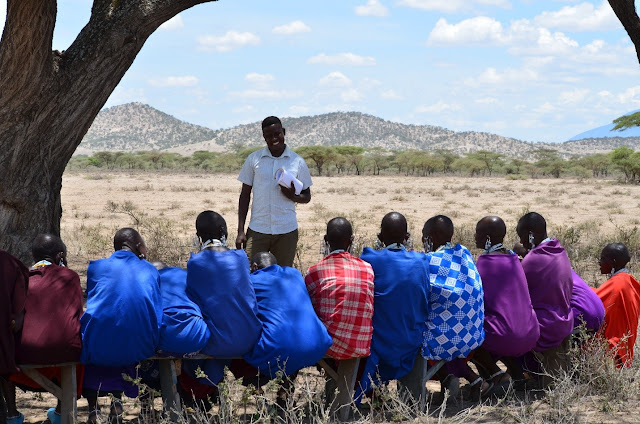 Oshumu is a Maa-speaking, Maasai born man, who grew up in the same land and knew the community we were working with, the struggles they faced, and the best ways to meet their needs and spotlight their strengths. Oshumu inspired his community members. He taught them, learned alongside them, and developed strategies with them. The example of Oshumu, in fact, leads me to another reason why this work is important: because it is inspiring new leadership. By giving leaders and communities knowledge about the shifting social, political and economic terrains, they are better equipped to mobilize themselves and put their voices front and center. Oshumu working with the women of Kitabarne. And one of the greatest things is that it is not just men’s voices that are getting heard…women became more confident. When we started the workshops, I didn’t know if it would be more effective to facilitate workshops with men and women in one space, or to split them up. 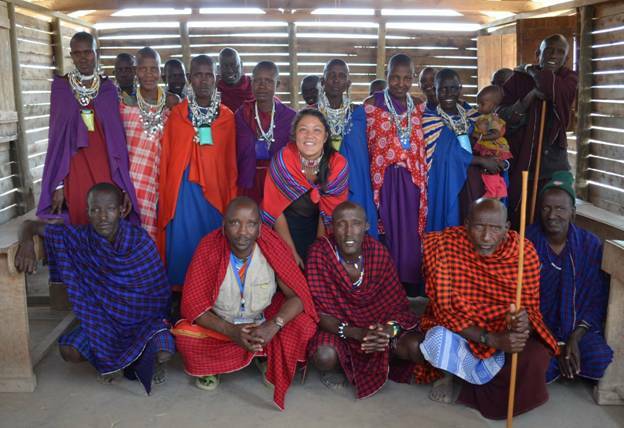 I was advised to do separate workshops as Maasaiwomen tend to participate less in the presence of men, but for convenience sake, we ended up inviting men and women to attend the same workshop. Men would sit on one side, and women on the other. In the beginning, the women were silent, or at best they would giggle and hide under their shukas when asked a question. I felt like I had made a terrible mistake. But over time I saw something beautiful. 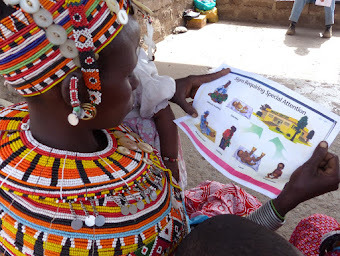 The more the women realized our discussions were relevant to the well-being of their communities, and the more they saw they were able to grasp the concepts and information just as well as the men, the more they began to join the conversation and have their voices heard. Naipaya (middle) attended Land is Our Life workshops and in May 2017 she ran for a position in her village’s WMA Authorized Association and won. She credits this decision to the workshops which inspired her to lead and made her feel capable of doing so. Before, in Maasai culture, women couldn’t express themselves before men. Now we see there is some understanding in the community that women can stand up and express themselves before men. That is a big change I saw in these communities. Slowly, we encouraged the women to discuss and at the end of the day they realized, “I have an opportunity to be heard and I can stand and nobody will tell me to sit down and be quiet!” So, by providing them that opportunity to discuss and share, they learned slowly that they could express themselves before me and be open to talk about anything before men. Knowledge is power. Whoever said that knew what they were talking about. For me, the greatest success is that this work continues today. 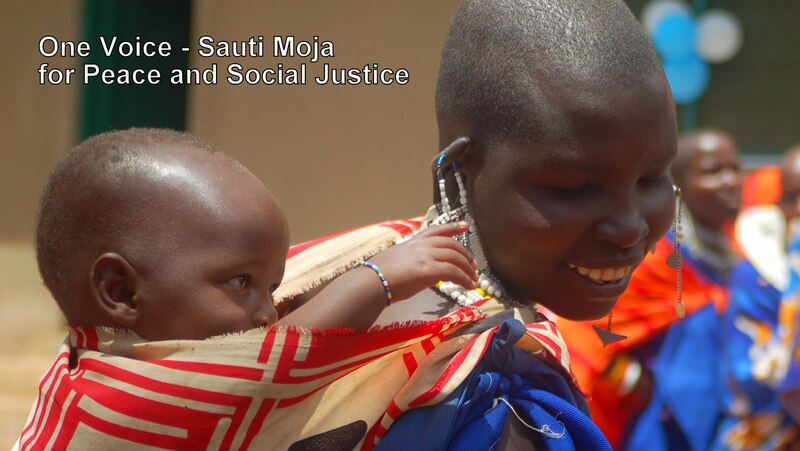 It thrills me that Sauti Moja is carrying all this work forward via the Land Is Our Life project (see here). And this works persists because the people involved are passionate about empowering Maasai voices. Oshumu continues to facilitate workshops in Oldonyo Mali and tells me he is excited to soon begin a new set of workshops alongside other leaders in the neighbouring village TingaTinga. Land is Our Life participants of Oldonyo Mali. 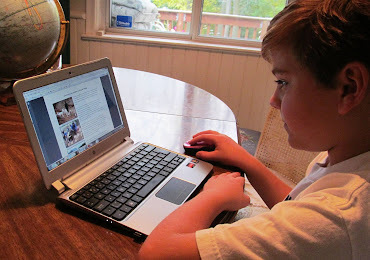 Communities are eager to learn, to be better informed about the political changes around them. They are eager to get involved. They just need the means…literally, knowledge is power. (Be sure to click the Land Is Our Life project on the scroll down menu).